Alpaca Lana D'Oro blends the softness of alpaca with the memory of wool. 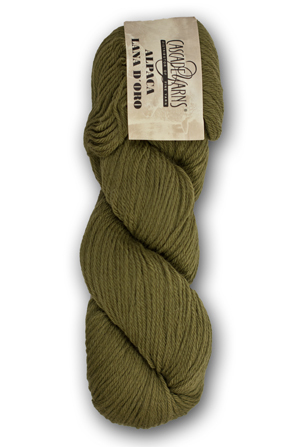 Alpaca Lana D'Oro is a worsted weight yarn that's great for knitting hats and sweaters, or mittens and scarves. The wool helps the yarn keep its shape.